At the core of the program is an accurate and reliable antivirus engine. Don't take our word for it: AV-Test have said it offers the best protection around for the last 3 years, while AV-Comparatives report it blocked 100% of threats in their Real-World Protection Test. There are a stack of bonus extras, some with major improvements in this release. Bitdefender's Wallet not only remembers your user names and passwords, for instance - it can autocomplete your credit card details in web payment forms. And the Vulnerability Scanner finds missing patches and updates on your PC, and now provides links to help you download and install them. The Activity Profiles feature sees the program automatically optimise your system for different situations. Play a game and BitDefender enables the Game Profile, disabling unnecessary services and working to speed up your PC. The Movie Profile kicks in when you're watching a movie, optimising Bitdefender's settings and enhancing visual effects. And if your battery is running low, the Battery Mode Profile optimises Antivirus Plus and Windows settings to save energy. If you're still worried about performance, the Tuneup section (Tools > Tuneup) provides six new modules to help: Boot Optimizer, PC Clean-Up, Disk Defragmenter, Registry Cleaner, Registry Recovery and Duplicate Finder. Or, if exploring all those sounds too complicated, the new One-Click Optimizer will clean up your PC all on its own. 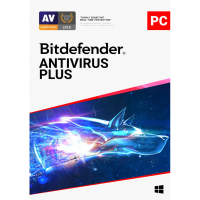 Of course it's the security provided by Bitdefender Antivirus Plus 2019 which really matters, and there are plenty of tools for you to explore. A desktop widget makes it easy to scan files or monitor your security; the USB Immunizer prevents malware infecting your Flash keys; Bitdefender's Rescue Mode provides a secure and isolated environment, outside of Windows, which can help remove even the most stubborn threats. You now get anti-ransomware protection, too. 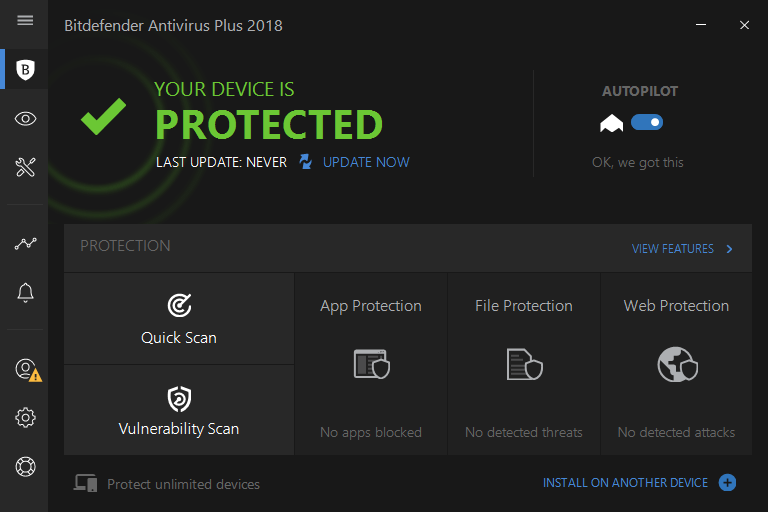 It's a long list of features, but fortunately Bitdefender Antivirus Plus 2019 is relatively easy to use. A revamped interface means common tasks (Quick Scan, Update, Safepay, Optimize) are now available with a single click, while other functions are accessible via three main tiles (Protection, Privacy, Tools). Even first-time users will quickly find what they need.